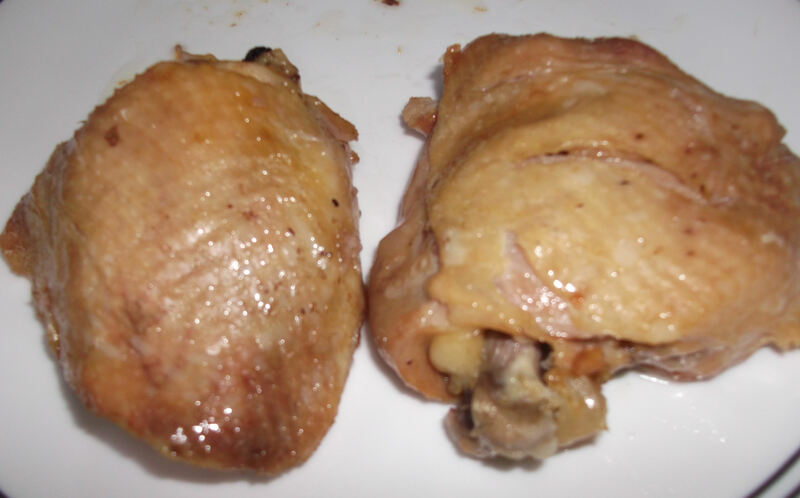 Here is a very simple way to make incredibly tender, moist and flavorful chicken. It requires only a few minutes of prep each day, but it does require a span of 3-4 days to prepare. Don’t let that put you off, though: the results speak for themselves, and are totally worth the wait. You’ll have a delicious meal and maybe even some tasty leftovers to add to pastas, salads, etc. Cooking meat in the “confit” style adds exceptional flavor and tenderness, and despite cooking and storing it in oil for days, the cooked meat is remarkably lean, as most of its own fat is rendered out in the slow cooking phase. 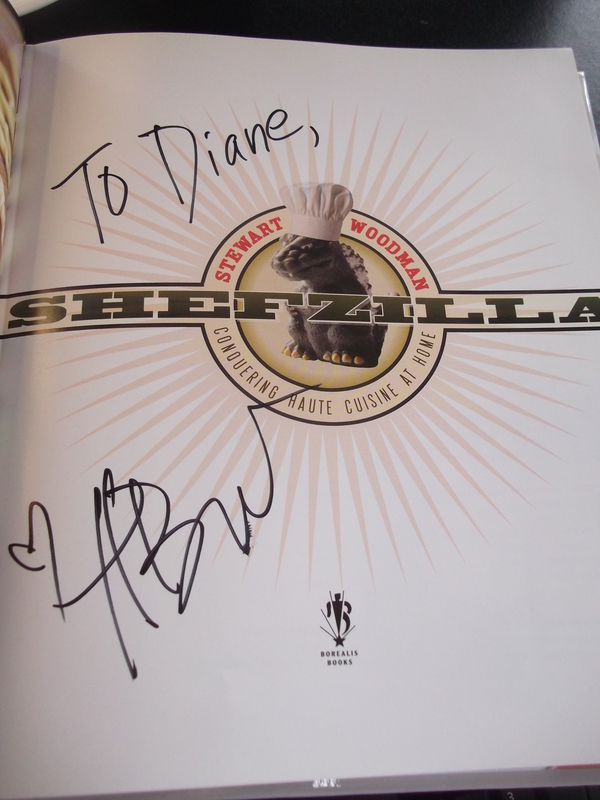 I adapted this recipe from a cookbook (autographed, even!) by the chef/owner of one of my favorite local restaurants, Heidi’s. Note: this recipe is prepared over 3-4 days. It’s worth the wait. 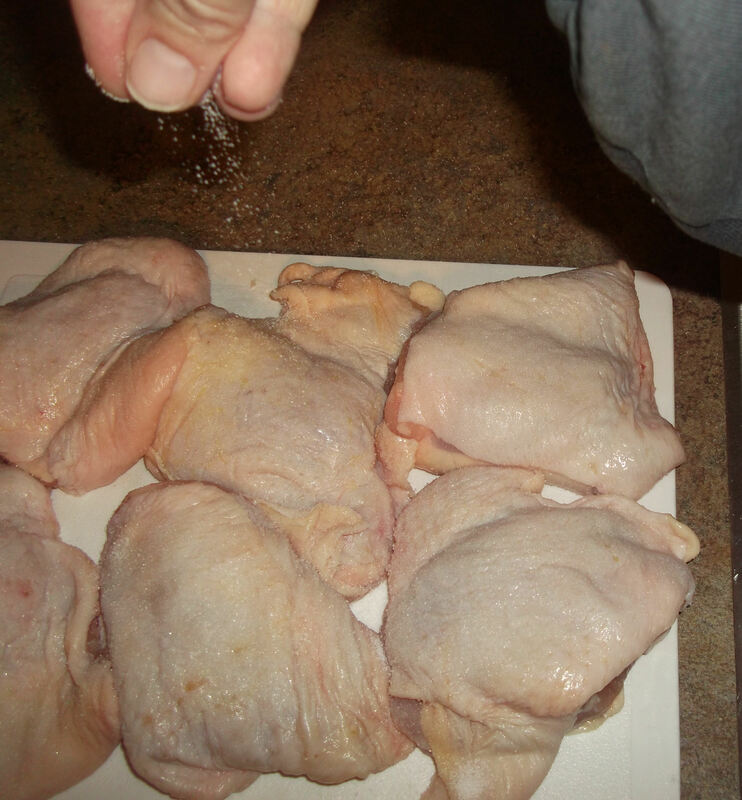 Sprinkle chicken evenly with salt, using most of it on the skin side. Place thighs in a shallow bowl or container, add the bay leaf and peppercorns, cover, and refrigerate for 12 hours (overnight). 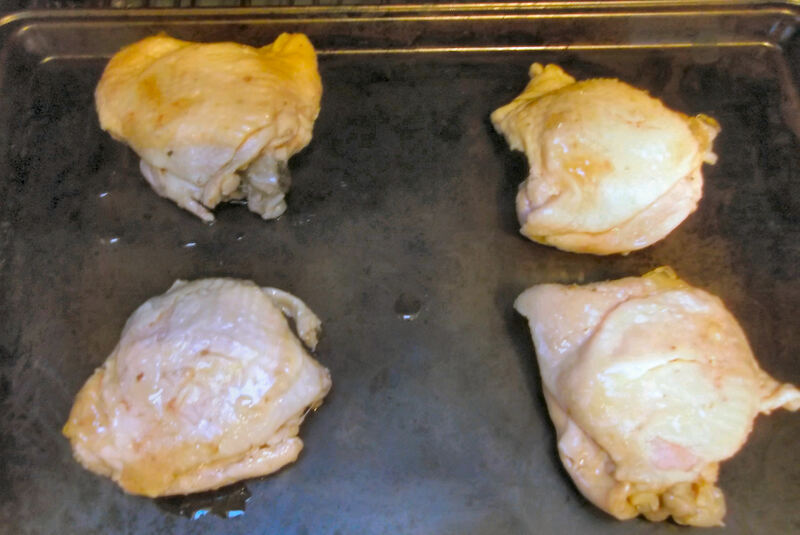 Rinse both sides of the chicken well and pat dry with a paper towel. 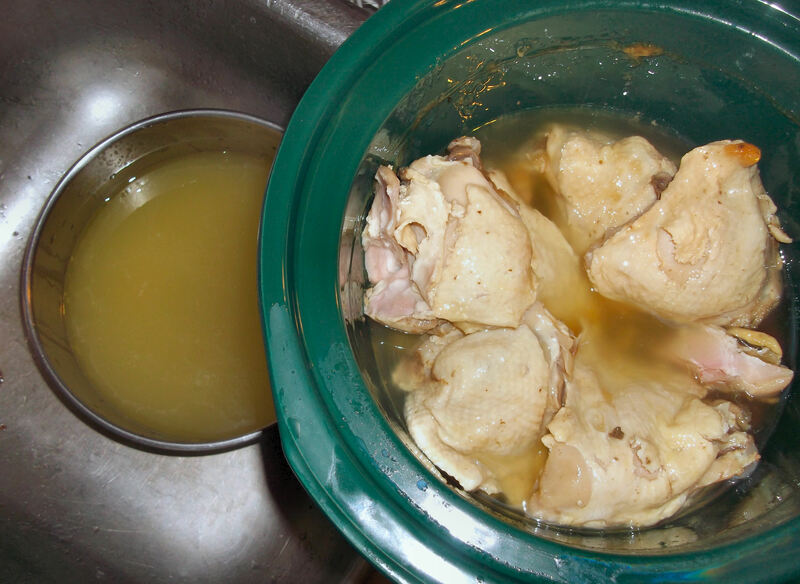 Place the thighs in a slow cooker/crockpot and pour in the oil: use enough to completely cover the thighs. Cook on low heat for 3 hours, then increase to high heat for 1½ to 2 hours. Allow to cool to room temperature, and then store the chicken in the oil, covered, in the refrigerator for 1-2 days. Leave the chicken chilling in the refrigerator. Follow the Day Four instructions to serve on Day Three, if desired. Take the container with the chicken out of the refrigerator and pour off most of the oil. Allow the chicken and remaining oil to come to room temperature while the oven preheats. Preheat the oven to 425 degrees F. Carefully remove the thighs (they may stick a bit) and gently shake off any excess oil. Place on a baking sheet, skin side up, and bake 15-20 minutes, or until the skin is crisp and browned. Serve thighs whole or pull the meat off the bone and plate it. You don’t really have to start this in the evening, but it works out easiest if you do. After the initial 12 hours, the chicken will need to cook for 5 hours, and then be cooled before refrigerating. Go ahead and start it in the morning if you don’t mind staying up late. The first day, all you do is salt the thighs. Pat them dry with paper towels first. The original recipe called for 1 T of salt, but I found that too salty, so I scaled that back. Use most of the salt on the skin side. 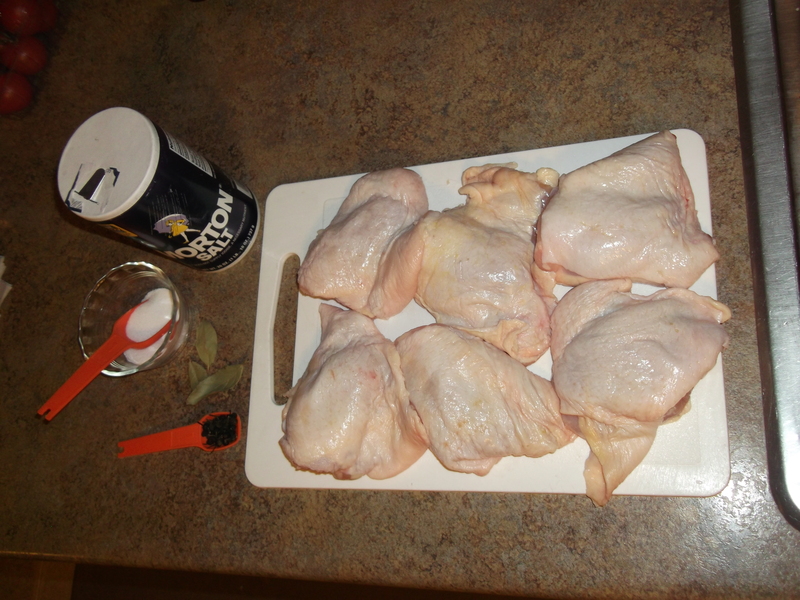 Next, place thighs in a shallow bowl or container. 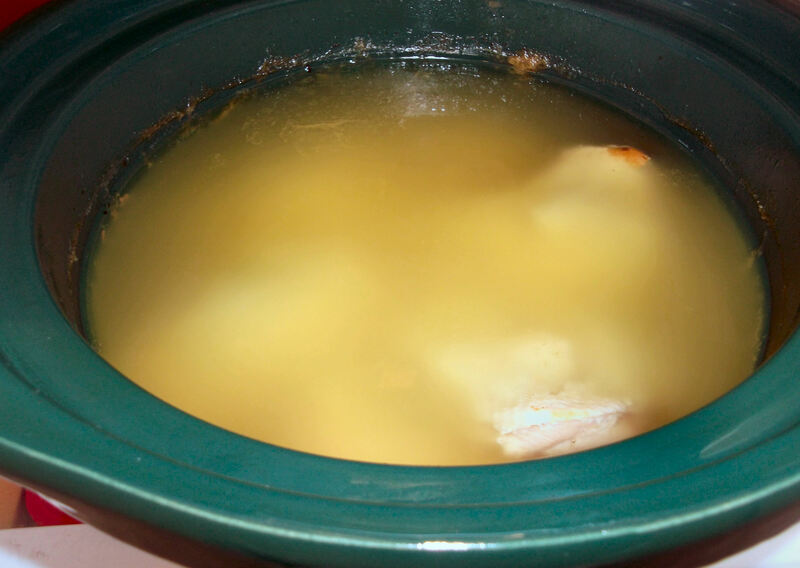 If you have enough room in your refrigerator, just use the crockpot or the slow cooker insert, since the chicken will end up in there anyway. Smaller thighs should all fit in one layer. 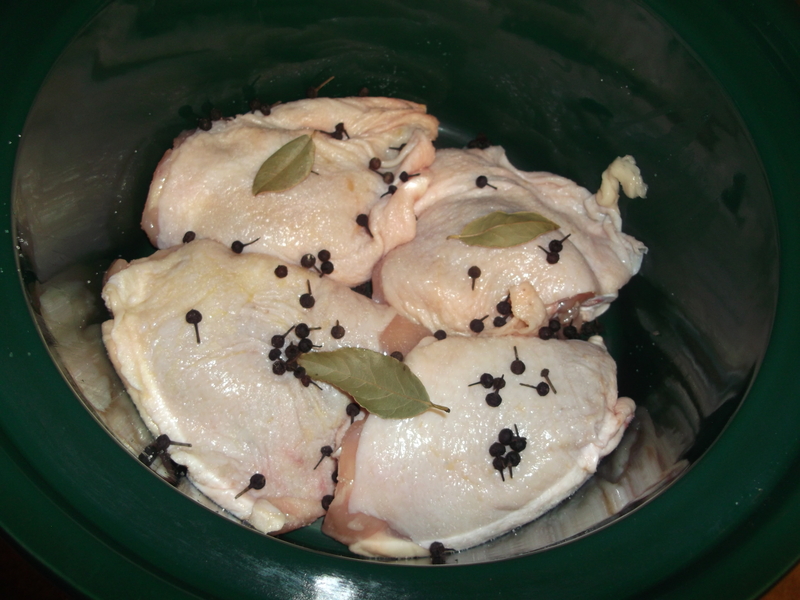 These were large thighs, so I first put four in the bottom and added the bay leaves and peppercorns so they touched all the pieces, then placed the other two on top of those. Cover with plastic wrap and refrigerate for 12 hours (overnight). Measure out about 3 C of oil. You may need a little more, but start with 3 C.
Rinse both sides of each thigh very well. Don’t worry about washing all the salt and flavor away: it was all magically absorbed overnight. It’s not going anywhere. Just be sure to rinse off any that’s still remaining. 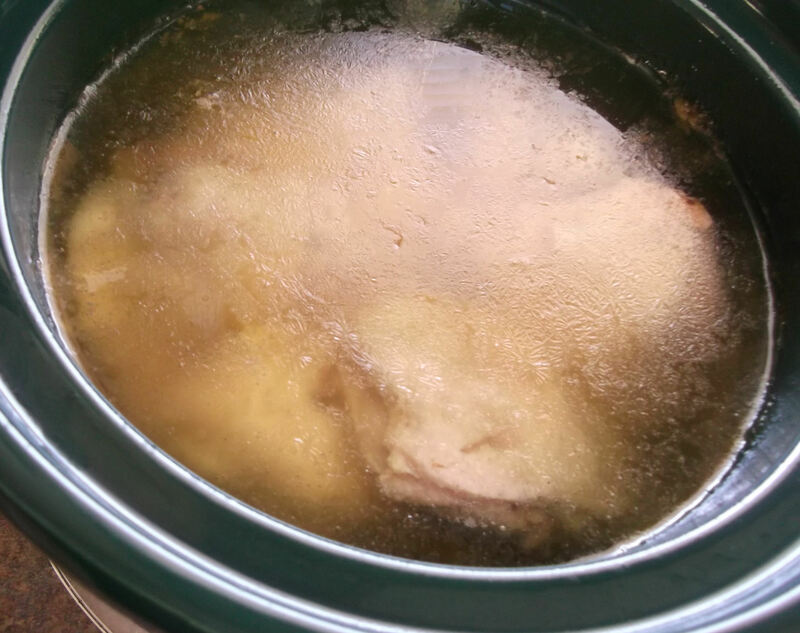 Dry the thighs with paper towels and place them (back) in the slow cooker/crockpot. Pour in the oil, making sure to use enough to completely cover the thighs. Cook on LOW heat for 3 hours, then increase to HIGH heat for 1½ to 2 hours. 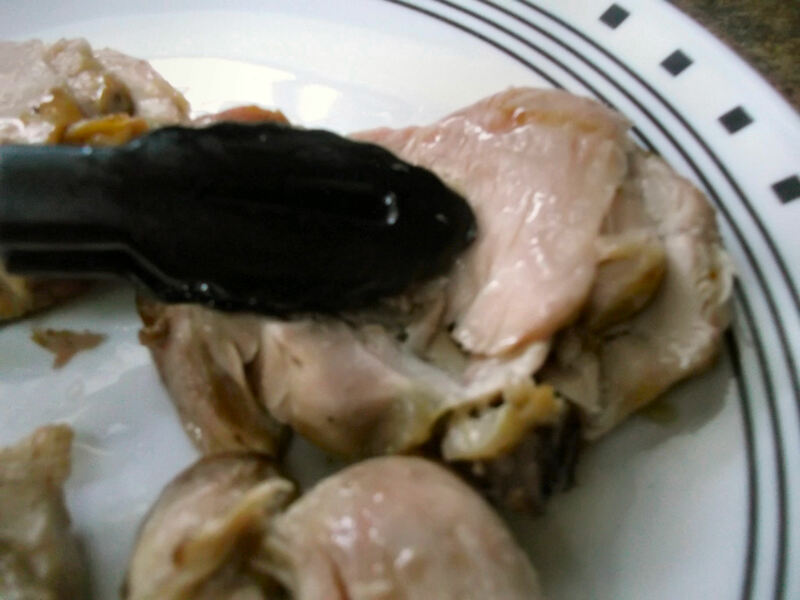 Allow to cool to room temperature, and then store the chicken in the oil, covered, in the refrigerator for 1-2 days. 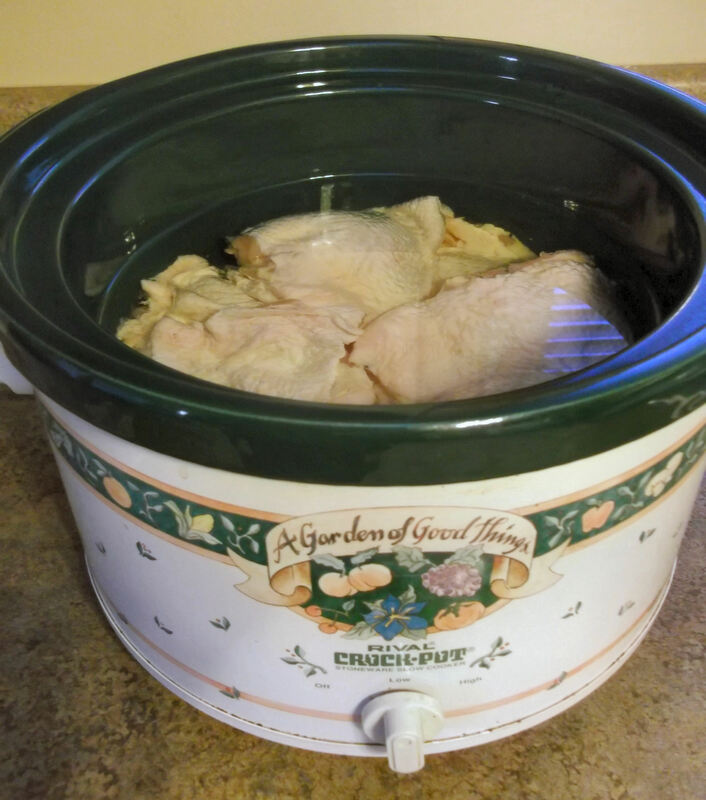 Again, it’s easiest to just keep it all in the crockpot/slow cooker insert, but if you don’t have refrigerator space for that, use a big enough container with a lid orcover that will hold the chicken with all the oil. After cooking for so long, most of the fat in the chicken will have melted into the canola oil, so the oil will appear a little cloudy, yellow, and will be very aromatic. Yes, it will smell very strongly of chicken. Keeping the chicken in the oil keeps the flavors in contact with the meat and also acts as a preservative. Remove the container from the refrigerator and pour off most of the oil. If you want to save the oil for another batch of confit, use it in the next day or so. 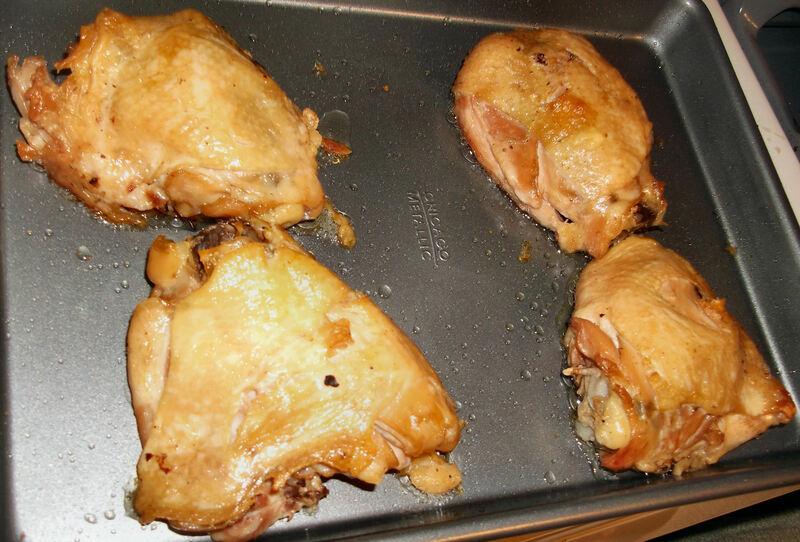 Allow the chicken and any remaining oil to come to room temperature while the oven preheats. Preheat the oven to 425 degrees F. Carefully remove the thighs (they may stick a bit) and gently shake off any excess oil. Place thighs on a baking sheet, skin side up. Bake the chicken for 15-20 minutes, or until the skin is crisp and browned. 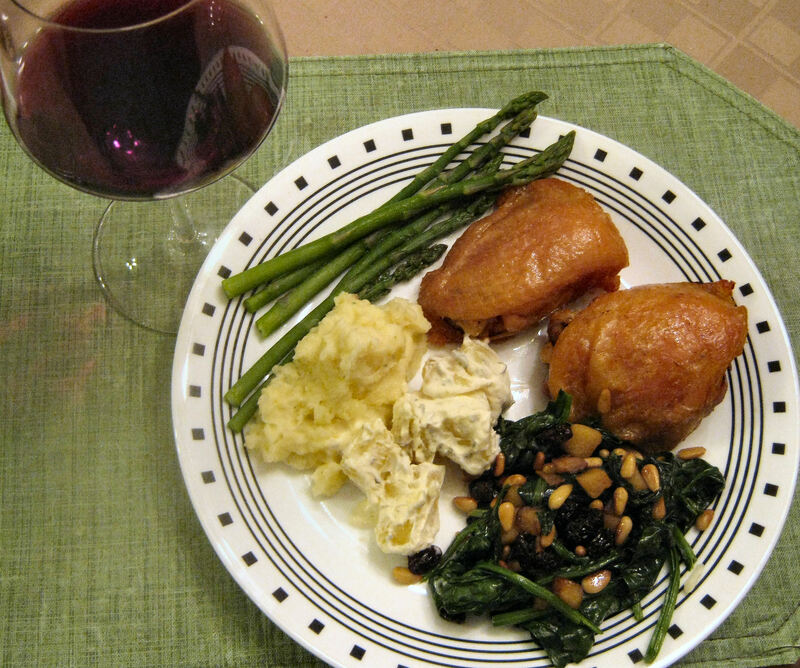 Place each thigh carefully on a dinner plate and serve whole. Be careful lifting and transporting them, as the skin and meat will literally fall off the bone. The skin can be easily removed first, if desired, by simply lifting it off with tongs. 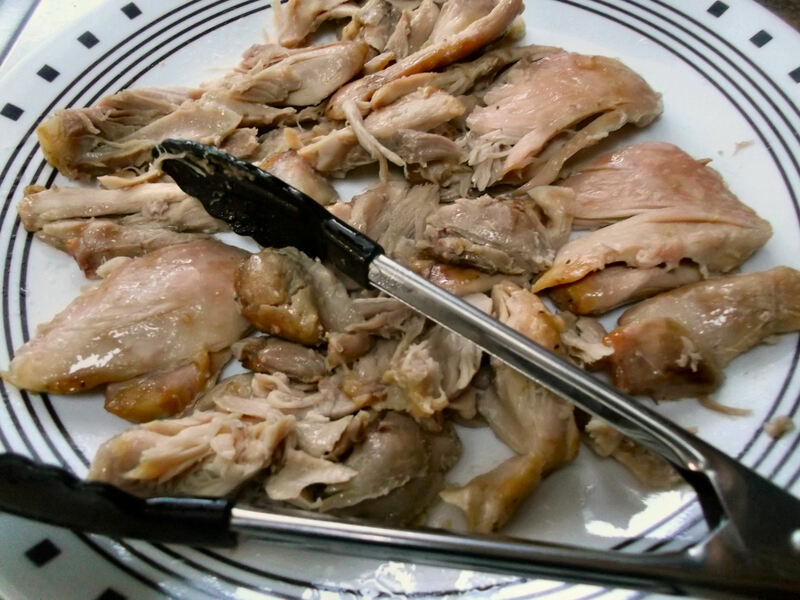 Another way to serve the chicken – either for the meal or for using up the leftovers – is to take all the meat off the bone before serving. Use tongs and press down lightly on each thigh to slide the meat off the bone. Be sure to dig out the little gristly bits, too. Leftovers can further be pulled/shredded and used in pastas, tacos, salads, soups, stews, etc. Enjoy! that’s the hardest part about confit cooking….